Why on earth would anyone suggest that I might like to visit a pub? More to the point, why would someone I’ve never met suggest I might like to visit a pub? But that’s exactly what my ether-friend, Adrian, over on Google Plus did. 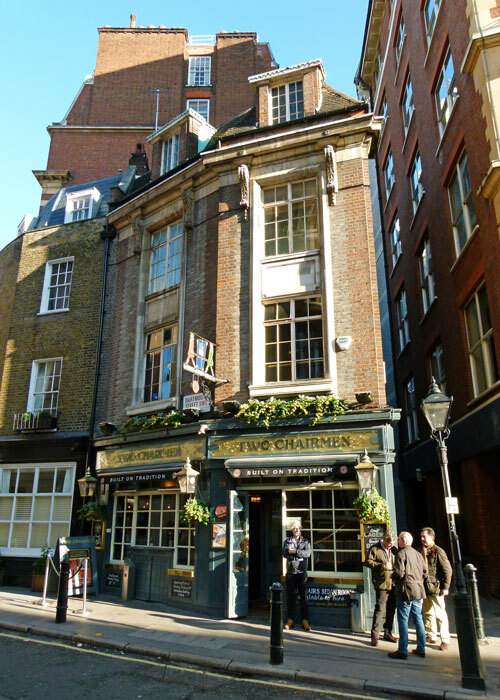 It was a few years ago, when A Bit About Britain was in its infancy, and up popped Adrian with a fine picture of what looked like a neat little boozer, the Two Chairmen in London. 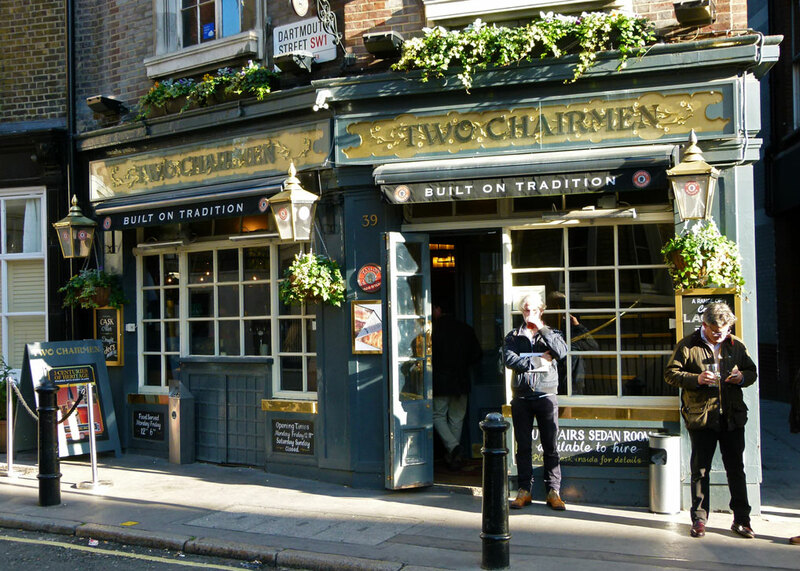 “Oh”, I commented, “That looks like a neat little boozer.” And Adrian came back with, “Maybe there’s an article there for you, sometime in the future.” He went on to explain that the Two Chairmen was, if not the oldest, then one of the oldest pubs in Westminster. And, situated opposite the notorious Cockpit Steps, just off Birdcage Walk – named for James I’s aviaries – it has an interesting past. So it was the history, rather than anything to do with beer, that prompted Adrian’s suggestion. Mind you, he works in advertising so I figured he might have had an angle somewhere. Anyway, I made a note of it because Adrian seemed like a nice bloke and, in truth, I have been known to visit pubs – just for research purposes, you understand (pubs are nasty things, full of beer and temptation) – and I do find myself in London occasionally. The Two Chairman is a short walk to the west of Parliament Square, in Dartmouth Street, which bisects Queen Anne’s Gate and Old Queen Street. It is indeed opposite Cockpit Steps, the alleged haunted site of the Royal Cockpit – a dodgy 18th century cockfighting venue. A little off the beaten tourist track, it’s a relatively peaceful, but handy, location to have a watering-hole: close to all of the capital’s Westminster attractions (and essentials such as New Scotland Yard and the Chilean Embassy) as well as being in a Disney-like part of London, full of smart Regency town-houses – all big shiny doors, gloss-black wrought-iron, polished brass and door entry systems. 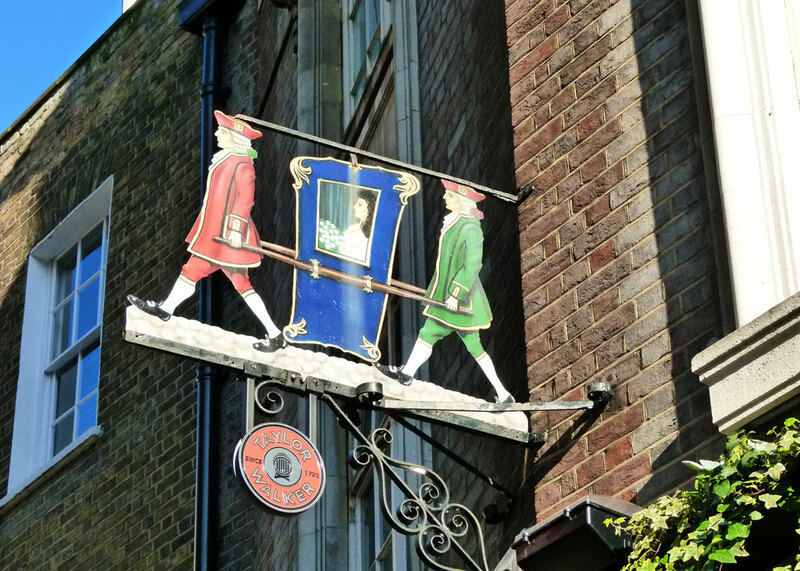 The pub gets its name from the chairmen who worked sedan chairs – single-seat carriages carried on poles by two strong men – taking their wealthy clients to the cockfighting and waiting in the pub for their next fare. The pub’s website once claimed that this practice might be the origin of the expression “cheerio”, because customers wanting a sedan chair would shout, “Chair Ho”. Actually, from what I can make out, “Cheerio”, meaning “good wishes”, “goodbye” or used as a toast, comes from joining “cheery” with “O!”. As you do. There’s a belief, dating back to at least the early 19th century, that sedan chairs originated in the French town of Sedan. In fact, chairs supported by poles, canopied or otherwise, have been used in various cultures in Europe and the Far East since ancient times. They became popular in Britain from the late 17th century and the name is more likely to be derived from the Latin verb sedere, to sit. Just to see what other people thought of the Two Chairmen, I had a quick look on Trip Adviser and saw one comment suggesting it was really only suitable for adults. I have to agree, but wanted to ask what sort of masochist would want to take their children to a grown-up pub in central London anyway? Family-friendly is all very well, but it’s a different market; and, personally, the last thing I want when I’m enjoying a jar and a bit of conversation is a load of screaming kids running amok (even my own). Let’s be clear: one of the Two Chairmen’s selling points is that it has nowhere for children to play. Chiefly, though, its location close to so many attractions, yet obscure enough to avoid becoming a typical tourist pub, is hard to beat. A further inducement to visit, if you’re that way inclined, is that it’s close enough to the Houses of Parliament to lure in the odd politician; and, to illustrate the point, it is alleged that Nigel Farage and Liberal Democrat MPs have been spotted quaffing there (not necessarily together). I subsequently discovered that Adrian was chairman of Red C, a marketing company whose clients included the business that owned the Two Chairman. So, well done Adrian; I hope business is booming and you’re still playing the drums. Since my visit, the pub’s brand, Taylor Walker, has been acquired by brewery and hospitality giant, Greene King. So I’m assuming that the London Pride has been replaced with Greene King’s Abbot – another extremely palatable ale; either one would certainly receive a welcome from me at my own little local, the Olde Ruptured Ducke. If you’re desperate for more information, visit the Two Chairman’s sadly uninspiring website. The nearest tube station is St James’s Park – District (Green) and Circle (Yellow) lines, but Westminster – District, Circle and Jubilee (grey) lines – is pretty close too. As with other articles on A Bit About Britain, rumours that I have been paid a modest fee of £2000 plus expenses to write this unbiased review are, alas, untrue. I believe I know this pub! I used to work in Great George Street and we used to visit it sometimes for a quick drink and a sandwich at lunchtime (many, many moons ago!). I have now remembered a Christmas drink that resulted in me falling asleep at my desk during the afternoon. Oh, the embarrassment of waking and realising where I was…….! A very nice review, Mike. I love old pubs with plenty of history behind them. This one sounds perfect, although perhaps not so good for people with young children. Your descriptions of the place and what it offers customers make it sound cosy and welcoming. I’ll have to ask my son, who lives in London, if he knows of it. Great post, Mike. I think it’s mainly the history and location in this instance, Millie. Oh – and the beer; did I mention that? I suppose it will be changed to Two Chairpersons eventually. I wish California had pubs that looked as inviting and had as much fascinating history those in GB. This one is certainly worth a visit. You can’t beat a good pub! Interesting post Mike, many thanks. Sounds like my kind of location: beaten-path adjacent. Pity about the television, though…one side effect of not having a television at home in many years is that I have zero tolerance for abrasive programs. Full disclosure: I am the curmudgeon who complained about the inescapable television in a hospital waiting room. I don’t think I’ve experienced a TV in a hospital waiting room. I guess they’d have to be careful what programmes they showed! And I can imagine just getting involved in some gripping documentary about incurable medical conditions, when my appointment would come round. It was horrible – some sort of daytime “talk show” where people are brought on to complain about each other in a sort of choreographed shouty drama, while the host pretends to be helping them resolve their differences. I had to go out and stand in the hallway. And later pointed out to staff that no one could possibly consider such inescapable background stress to be part of a healing atmosphere. My wife thinks I’d go into most pubs, given the opportunity. I like to try the old pubs so will make a note of this one for whenever I next get over to England. 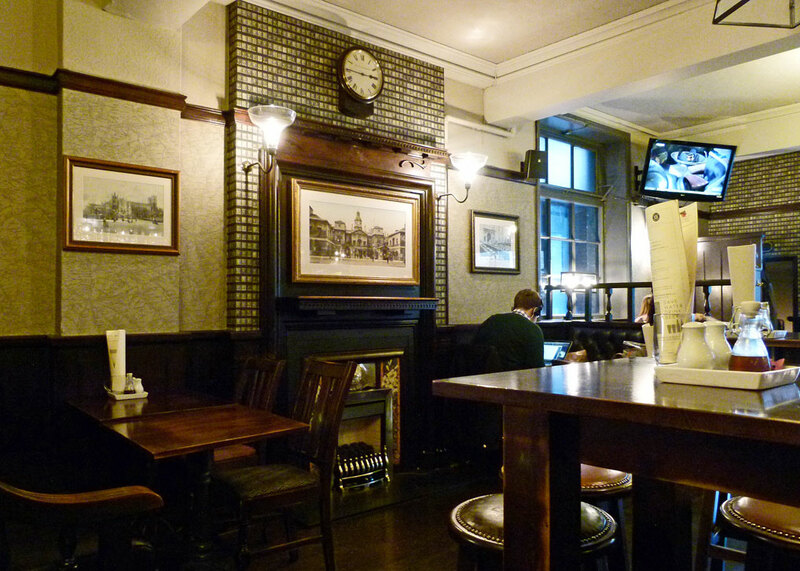 Another favourite is the Clarence, on the corner of Whitehall and Scotland Yard – but it gets terribly crowded. The place looks quite marvelous! I should think not! Good to hear from you, Derrick; it seems the problem has resolved itself. Cool post Mike. Am not a pub person or a London person either really but I like the history of them. Familiar with the pub but have not bothered to go in. Tend to avoid those with a TV. However a good review from you could tempt me inside on a cold miserable day looking for somewhere warm for lunch. No brash, soulless bar for me either! I used to spend 3 weeks in one or two British cities every late-early July, when Australian universities were closed for the winter holidays. 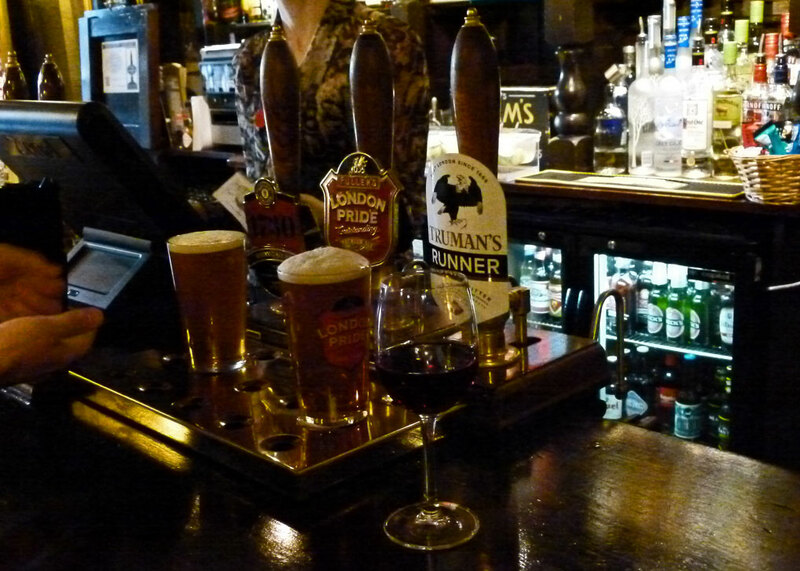 It was my mission to drink in a different traditional, well furnished pub after lectures each day. London was too big, but I did my best in Cambridge, Ely, Norwich, Lincoln, York etc. .You do take me back! We used to gather there at lunchtime before meetings in the Houses of Parliament…in the days before security. I don’t remember whose beer they served and lunch was not on the menu. Now you’re intriguing me..meetings in the Houses of Parliament..? More information needed! All very humdrum….in those days M.P.s would book rooms for meetings and as I was involved in the preparations for the equality laws and in the Labour Party I was there quite often….thus the pub for a drink before going over. Beer, delicious food… the things we must do for blog research sometimes!! 🙂 Sounds like a very neat pub, I will have to check it out next time I’m in London! Good to see this post about the Two Chairmen, Mike – still one of my favourites in London for all the reasons you so astutely noted! We’re no longer working for Greene King since the takeover, hence the very uninspiring website. And I’ve played my last gig on the drums! Keep up the good work. You constantly surprise and inspire me with ideas for days out! Thanks Adrian; great to hear from you and I hope all is tickety-boo in your world. Don’t give up on the skins! I liked this post a lot! You always add that little bit extra info to make it so interesting. Looks like a fun place to check out. Thanks, Darlene. It’s certainly a nice part of town.